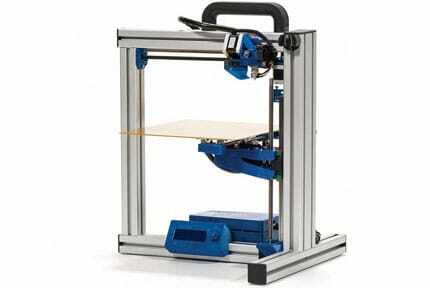 What do you picture when you imagine a mid-budget 3D printer? Probably something with okay-ish levels of detail and average-at-best functionality, right? What if we told you there was a DLP printer in the same price range that could create highly detailed models? Would you be interested? There is. 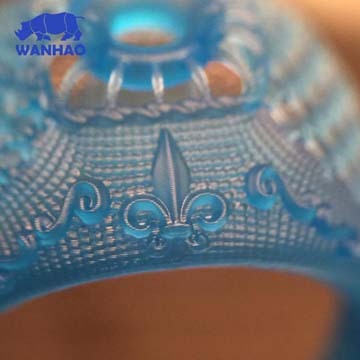 It’s called the Wanhao Duplicator 7 and it certainly seems to go above and beyond what most people would expect. 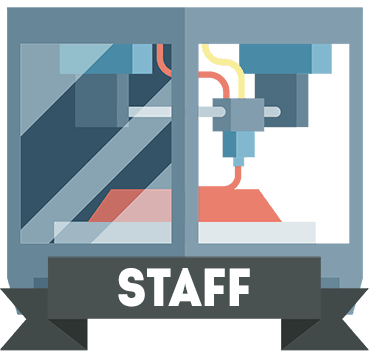 Today, we’ll be taking a look at its strengths, its weaknesses, and its overall versatility to see if this is the right 3D printer for you. You’ll notice that this is a pretty imposing printer. It’s pretty large and features a steel outer enclosure, so at the very least, it’s sturdier than most. The inner mechanisms are fairly straightforward, though, with the resin basin and print head kept as simple as possible. This makes it easy for people who’ve never used a DLP printer before to get started. You can control this printer either using your PC directly or by using the large built-in screen. Note that the menus are clean and easy to navigate, with each icon large enough to tap easily. This sounds like a small thing, but it actually means you can get printing easily and without messing about trying to hit a tiny little menu option. It’s rare enough to find a printer in this price range that comes with WiFi functionality, but this one includes an Ethernet port as well. Given just how different this model is from the others on the market, it’s definitely piqued our attention. It’s all for nothing if it doesn’t print well, though, so let’s try it out. 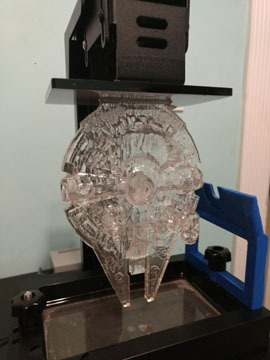 Unlike FFF printers, DLP models don’t use a filament. 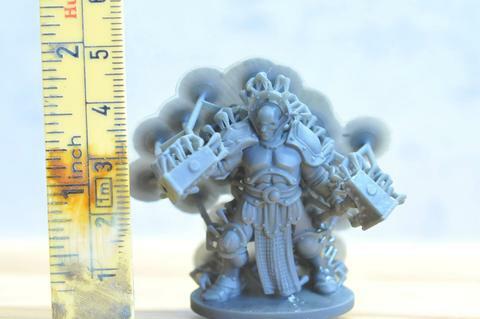 Instead, they activate UV-sensitive resin and “grow” your models. This allows them to create more detailed objects, albeit at a slower pace. The Duplicator 7 does a fantastic job of building complex items, and even those with internal structures come out pretty nicely. There is one slight issue, though: you can’t stop and refill the resin basin during a print. As such, you’ll have to plan ahead and ensure you’ve filled it adequately beforehand. This also means that your print size is pretty limited, although, with a smaller-than-average build volume, you shouldn’t be expecting to print massive items. This printer doesn’t come with any kind of slicing function, so you’ll have to use a program to do this. It also only reliably works with Windows PCs – while there is limited MacOS and Linux support, it’s not exactly ideal. To be honest, there really isn’t that much in the way of advanced functionality. For instance, you have to manually level the print bed, and ultimately, all you can do is print pre-sliced models. However, DLP printers can be pretty complex, so we’re actually glad to see one cater to new users in this way. 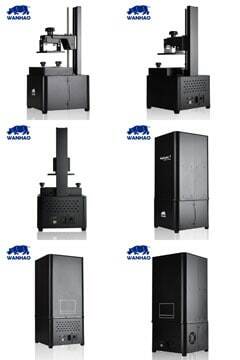 You also have to remember that these types of machines can easily cost thousands of dollars. Considering this one is so low-priced, we feel it’d be unreasonable to expect too much. Simply, it creates much more detailed models than many of its similarly-priced rivals, while boasting greater connectivity, so it’s hard to complain about. Now, the Duplicator 7’s slow print speed makes it unsuitable for mass production. However, it’s great for prototyping or creating a smaller quantity of highly detailed models. If you’re a massive Dungeons and Dragons fan, for instance, you’ll appreciate just how fine the details can be on your character models. This printer retails for around $400, but it can’t be bought directly from the manufacturer anymore since it’s been replaced by the Duplicator 7 Plus. Still, if you can find one from a reputable retailer, we’d advise giving it a chance – you might be surprised by just how good it is. 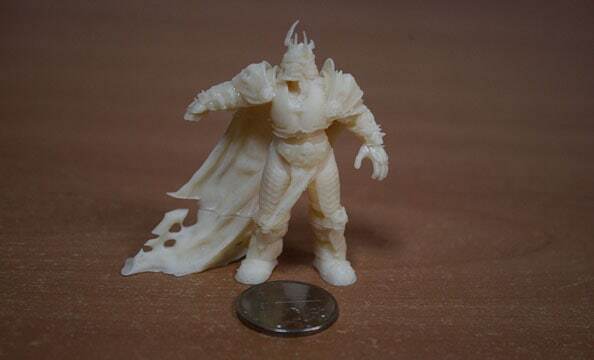 As resin costs more than filament, your monthly material costs are going to be slightly higher. 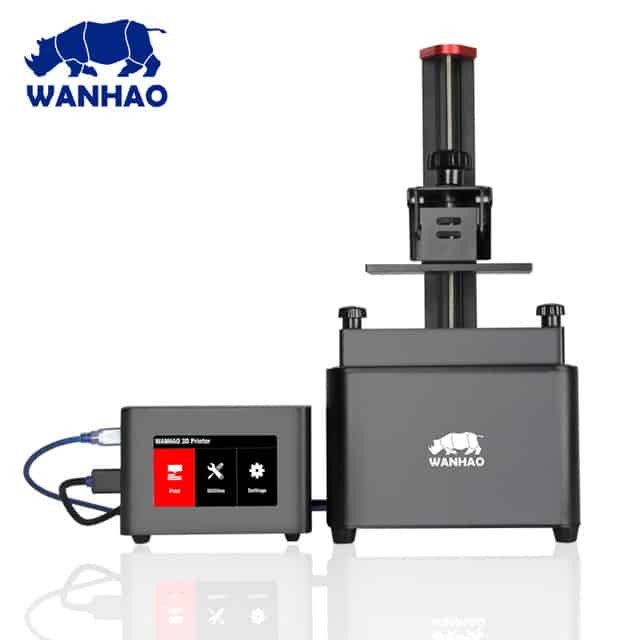 However, Wanhao has allowed its users to utilize third-party resin. This means that you have a greater selection of materials and can choose between simply buying whatever’s cheapest and what gives you the nicest finish. One of the things we love about this model is that it’s perfectly priced for hobbyists and small businesses alike. 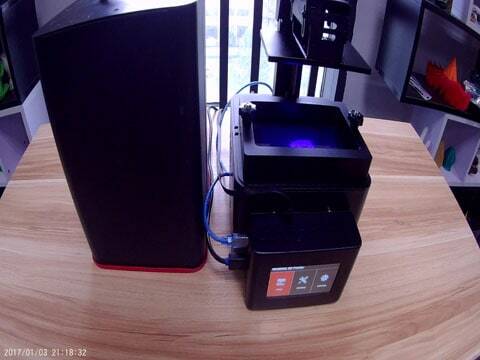 The range of things you can do with this printer is almost limitless, and since it has a simpler construction than an FFF printer, you’re less likely to spend money on replacement parts or maintenance. 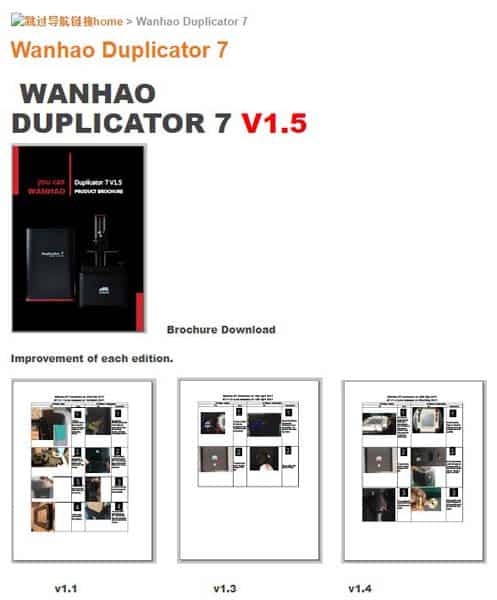 Wanhao’s website has a quick start guide for each iteration of the Duplicator 7, as well as a document that lists the changes between each model. You can also take a look at model-specific FAQs, manuals, and software downloads, but unfortunately, the support section of the site is completely empty. At the very least, there are video tutorials that walk you through getting set up and solving common problems. We’d have liked to see some kind of out of warranty repair service, but if there is one, it’s not immediately apparent. You can request repairs while your warranty remains active, though. 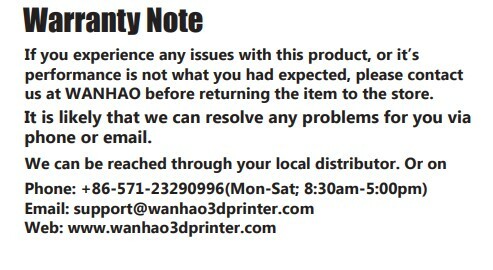 This printer comes with a one-year warranty from the date of purchase, and Wanhao encourages users to contact it via email or phone in the event of any problems. 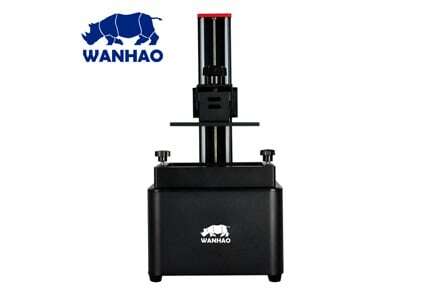 Looking for another Wanhao 3D printer? 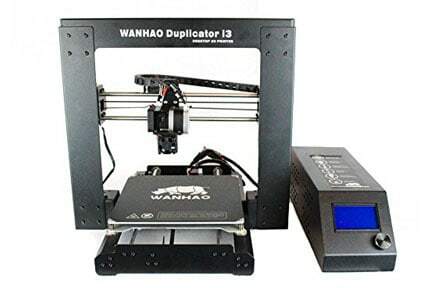 Check our review about the Wanhao Duplicator i3, read it here. 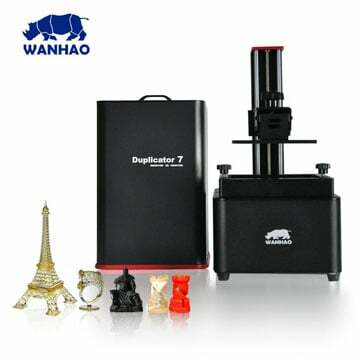 The Wanhao Duplicator 7 offers a budget-friendly way to experiment with less commonly seen 3D printing tech. It’s versatile, powerful, and well worth your time.